Distribution: The midvalley fairy shrimp is found at relatively low elevations in the middle of the Central Valley. It has been found in the Sacramento Valley from Glenn County to Santa Clara County along the Coast Range, the San Joaquin Valley, and the Sierra foothills from Yuba County to Kern County. The midvalley fairy shrimp has not been documented in the Natomas Basin, but potential habitat exists along the eastern edge of the plan area, and the species has been found in Sacramento County. Habitat Requirements: The midvalley fairy shrimp is found in shallow ephemeral pools””depressions that fill with rainwater in the winter and spring and dry up in the summer. These pools are generally found in grasslands and lower elevation foothills. Unlike some of the other branchiopods, the midvalley fairy shrimp can live in relatively warm water temperatures, and with its ability to develop rapidly, it can inhabit some of the smallest and shortest-lived seasonal pools. Reproduction and Demography: The midvalley fairy shrimp develops and reproduces in vernal pools following winter and spring rains. Eggs in the vernal pool hatch with the onset of suitable rainfall and temperatures, and young pass through three different stages before reaching adulthood. 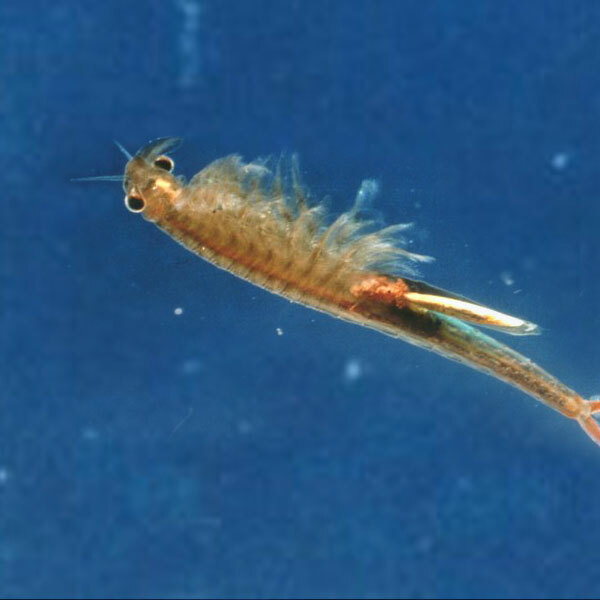 While the average age to reproduction is 26 days, in warm water and the right weather conditions, midvalley fairy shrimp can reach sexual maturity in as few as 8 days. The adult midvalley fairy shrimp can live for about four months, but it will not survive to the next season. The female lays eggs that are surrounded by a protective shell, called a cyst. Cysts can survive the dryness of summer, remaining in this dormant phase for years until appropriate environmental signals trigger them to hatch. Not all of the eggs in the soil will hatch in a given season, enabling the species to survive should the pool dry up before the shrimp can reproduce. Movement: Midvalley fairy shrimp cysts can travel both in flood waters and through the digestive tracts of other animals. In the latter case, the cysts may be deposited unharmed in a new vernal pool, allowing colonization to take place. Adults could be carried by flood waters or on the legs or feathers of other wildlife. Ecological Relationships: Midvalley fairy shrimp are a source of food for waterfowl, shorebirds, and amphibian larvae.